It's HEADING not HEADER!!! I did the whole thing saying HEADER!! Arg! And one step I skipped, when you get to the step where you open the table of contents window, pick a format, then SHAZAM click on it and all your previously selected headings turn into a Table of Contents.......BEFORE YOU SELECT A HEADINGS FORMAT YOU MUST SELECT A BLANK LINE IN THE WORD DOC WHERE YOU WANT THE TABLE OF CONTENTS. That's where it will go, just aim your cursor arrow at the spot you want the TOC, click on it, and then go select the TOC formatting style. PS this is really useful if anyone wants to publish a non-fiction book. Those usually need a Table of Contents. Below are the images I used in the above video if you want a longer look at them. The word Easy Sweets is highlighted, then I clicked on Heading 1. The words below it: ex. Connealy Crunch are highlighted then I click on Heading 2. That makes them indented from Heading 1. PS Connealy Crunch is so delicious you will all want to come after me with pick forks and torches for addicting you to it!!!!! HAH! But you'll be too busy munching to light the torch! So I am SAFE! 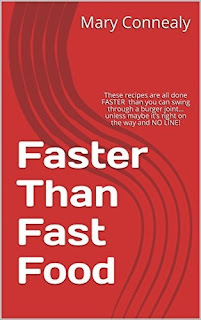 The table of Contents from Faster Than Fast Food! Isn't it CUTE???!!! Perfect and tidy...soooooo not like me life! 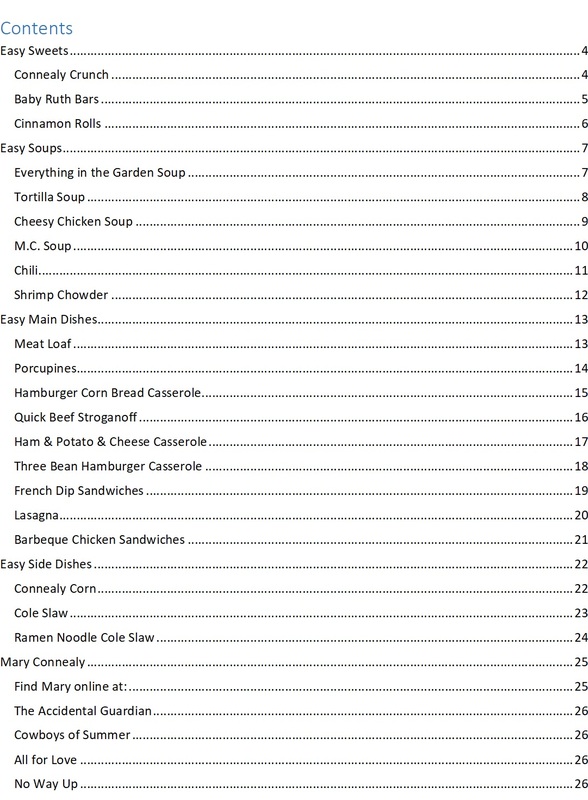 Each one of these words is CLICKABLE and will zip you to the recipe. First the top of a word document, note the yellow arrow. The word HEADING is key. I've never known what that is, but turns out it is SOMETHING. And to make a Table of Contents, it's important. Don't you wonder what other things a computer will do that we have no notion of??? 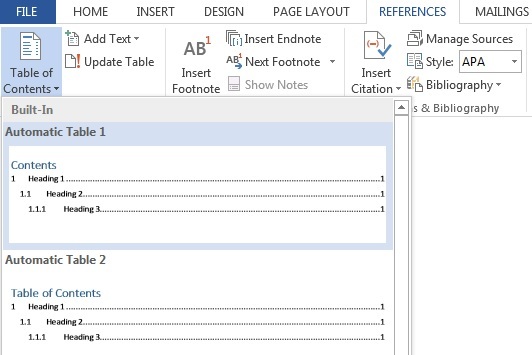 Second Step....turn each thing you want to be in the table of contents by highlighting it, then clicking on Heading 1 or if it's a subsection pick heading 2. Select the format you want and, I am sorry to say, I see NO DIFFERENCE between the two. Maybe the words TABLE OF CONTENTS in the second and only the word CONTENTS in the first? Okay. Is that it? Weird. If anyone sees anything else, tell me. And now I will list for you the FOUR BOOKS I had release last week. Yes, I know, I should have probably timed my cookbook release more....ahem...strategically? WHICH BOOK SHOULD I GIVE AWAY!!! How about one of each? Four books to four different winners! The Tangled Ties that Bind is an ebook only and available in print in Hearts Entwined. This is CONTEMPORARY COWBOYS! LETTING THEM USE A CELL PHONE WAS A THRILL BEYOND BELIEF!!! 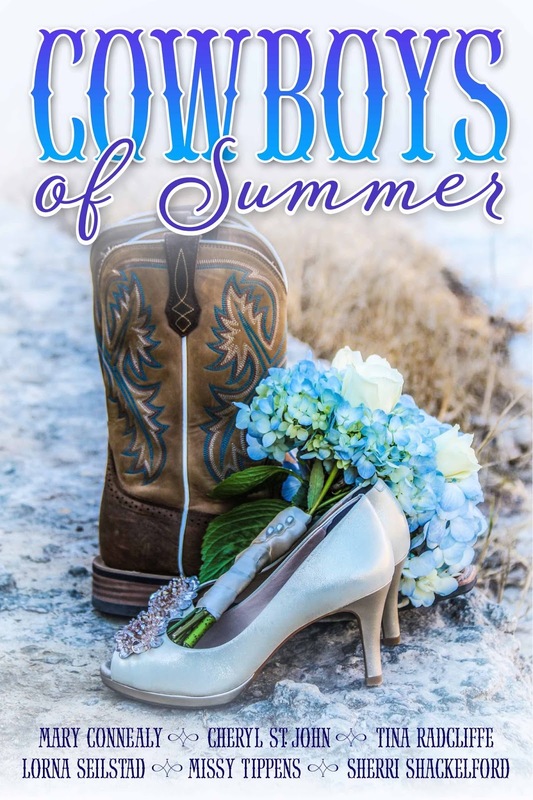 As the summer weather sizzles, relax by the pool with stirring tales of handsome cowboys and the spirited ladies who wrangle them into romance. 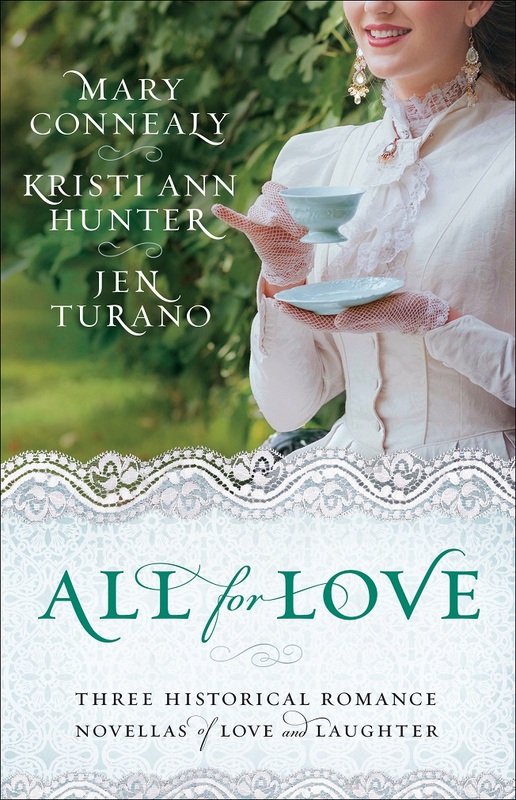 Six of Christian fiction's most beloved authors (< EXCUSE ME, IMMODEST!) join forces to bring you a collection of humorous, romantic and heartfelt novellas set against the sultry heat of summer. PS I Love this little novella. Such a fun one! You are all gonna love the stage coach accident!!! Formerly in a novella collection called Hearts Entwined, so you may have read it already. Three of Christian historical fiction's beloved authors (<<<there's that ego again! I did NOT write this. I copied and pasted) come together in this romantic and humorous collection of novellas featuring prequels to their latest series. New and loyal fans alike will enjoy these novellas previously released only as ebooks. 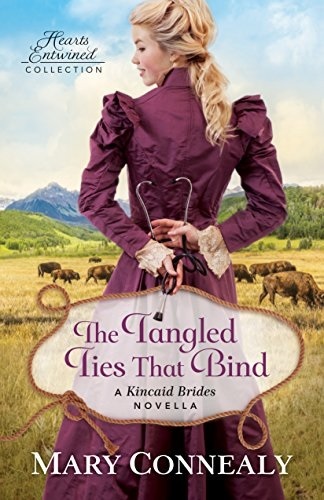 Connealy's "The Boden Birthright" journeys to the Old West, where ranch hand Chance Boden's determination to be his own boss is challenged by his employer's pretty daughter. Hunter's "A Lady of Esteem" follows a Regency-era young lady whose chance at love and reputation in society are threatened by a nasty rumor. Turano's "At Your Request" tells of a young woman who is humbled at her newly lowered status in society when she is reunited with the very man whose proposal she rejected. My comment disappeared... Oh, Blogger! Mary, you brave thing, well done! So much fun hearing your voice! Yay!!! And look at the volume of work you've completed in a dozen years.... I'm so stinkin' proud of you. When folks ask me "How do I do this? Where do I start?" I tell them "You 'Mary Connealy' it. You start and you keep going and you practice, practice, practice..." What a great example you've set for so many! Congrats on all these fun ventures, my friend! I found my new slogan. Whenever I run across something I don't know how to do, I'm going to "Mary Connealy it!" Jan, and Ruthy, if Mary Connealy It became a saying it'd mean buying two tickets for the same plane flight, or reserving a room at a hotel for the wrong night. And I should add that though I tease you, I really do admire you! Your work ethic is amazing. Mary has been a great influence on me. No, she didn't pay me to say that. She was the first Seeker to reach out to me, through a contest she judged, with a story that eventually became my first sale. I have also taken her "Be Ready" advice to heart. Fan-girl moment, I have always wanted to be like you and Ruthy, publishing in multiple genres and with multiple publishers including yourselves. I want to be like you when I grow up! Also, I love it when you WRITE IN CAPITAL LETTERS. It has been an up-and-down month. Two stunning disappointments, followed by news about a contest that ALMOST cancelled them out. This business--and it is a business--is not for the faint of heart. I keep comparing it to the pastoral ministry, or to the Christian walk in general. Trying to get things done, finished temp job last Wed. and going back for another project this Wed., working to support my writing habit. Feeling better so that's something, I go ALL WINTER without a cold (wash your hands and eat citrus, people) and then I am Felled By Pollen in the spring. I bought some paper masks tow ear while I'm doing yard work, we'll see. "Ground Control to Major Tom..." Or from that dystopian story Ruthy will one day write...I'm not sure the paper masks will work, I may have to go to the Army-Navy store and get a gas mask, I will have to get a photo of that! Ruthy, Blogger hasn't eaten any of my comments lately. I guess it has turned its wrath and fury to you. Sorry. kaybee, I'm picturing you in your garden wearing a gas mask. LOL You go girl. Mary, you've always been so nice to me when we've crossed paths. Congrats on your new books, and thanks for inspiring me. I love crossing paths with Mary. She always makes me smile! Aw, Jackie, thanks. And Jan one of my very sweetest memories is when you showed up at that booksigning in Sioux City. It was so fun!!! I've never seen an inane comment from you, Kathy! And I've been a Seekerville fan since I first stumbled on this blog almost eight years ago, and for the same reason. The interaction in the comments is as much fun as the blog itself! kaybee, I've been rooting for your Oregon Trail book for all this time. YAY! It was a great idea and well told! Pace, I've always remembered that name, so great! Kathy, we really enjoy interacting! Mary! You may say you're not tech-savvy, but you're astounding. But I know the main thing is that you're not afraid to learn something new. One of my goals this year is to learn more about self-publishing. I'm woefully ignorant, but there's no time like the present to learn! I CAN HELP YOU, JAN!!! It will be the blind leading the visually impaired!!!! Congratulations on your four releases. A new day and a new week to continue on with our writing and reading. Congratulations to all of the semi finalists and finalists in the various contests. Perhaps one day it will be my turn, but in the meantime I am looking forward to the judging sheets so I can learn where I need to improve. I think that's the most valuable part of entering contests - the feedback. Have a great week, Wilani! Wilani, that is the kind of attitude that will always propel you forward. Wilani, I hope the feedback is helpful. I used to read it over, then come back to it later when I was feeling more objective and a little further from the story. That’s so fascinating, Mary. And you did it all in Word? Wow! Love it! Pam, one day my granddaughter, sitting on my lap while i had my laptop open, started slapping the keyboard and she made TAB open, over and over and over. I have no idea what she slapped. I said something to my son-in-law about Katherine being able to do things with Windows Explorer I couldn't...and rather then laugh about the baby slapping the keyboard he said....wise and interesting words so pay attention..."That just tells you about the functionality of a computer and how much there is we haven't learned about all the keyboard strokes and what all the computer is capable of. Learning to use HEADING 1, is like that. Who knew what those words were for????????????? Mary, I've never used them before. So you educated me! Yay Mary! So very techy of you! And congratulations are in order with 4 books releasing. You are such an inspiration to me. Keep writing and I'll keep reading. Except for the cookbook I didn't really WRITE any of them except Cowboys of Summer. All re-releases. But like a wave crashing over me (or hot lava flowing over me!!!) It all happened at once. Cindy, I hope you saw my congrats over the weekend! Congrats on your Genesis semi-final! Congratulations Mary. Autocorrect jumbled my first post so much that I started over! Four books at one time is quite an achievement! I've never met you in person or interacted in any way except as a reader and a fan but I always know that your books will both entertain and bless me! Thanks for these tips. I love learning something new! Hi Connie! Thank you so much for that. Have you go any advice for the video? Should I have written a script? I blinked too much and jumbled a lot up. Techie Mary! I love this! 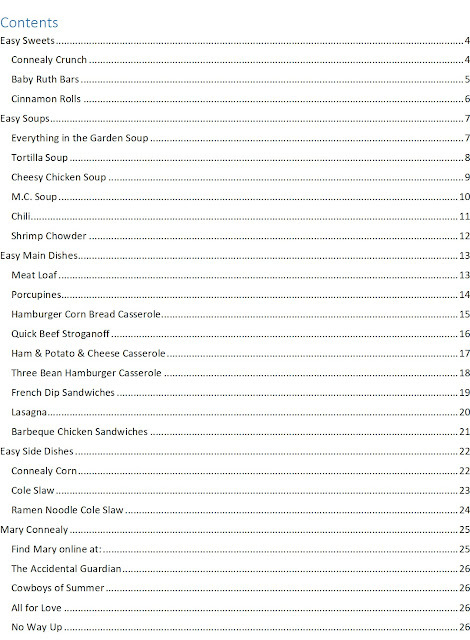 My sister and I are working on a family cookbook to Kindle publish, so your post will help us. I’m tech-challenged, so I’m extremely proud of your brave efforts. PS: I just downloaded the cowboy summer collection. With all those fabulous authors, the reading will be great! Thanks for getting it, Sherida! I just love this so much! You are so brave! No way! I could handle that! Let's try and avoid blizzards! Avoiding blizzards is at the TOP of the list! Seems like there's so much to learn in Word...always one more trick making the writing life easier. I'm a s.l.o.w. learner and avoid having to practice something...but, you've inspired me! Thanks again, Mary...and all you Seekerville-ians...y'all are the BEST. I haven't interacted much this last year. Life is getting right-side up again and so I'm hoping to participate more! Well, an innocent little cookbook seemed like a good way to dip my toes in the icy water of indie-pub! Kathryn, it's great to see you! I sure hope you'll release your cookbook! I would love to have tearoom recipes! We're here for you, Kathryn, whether you've got time to talk or not! But it's nice to see you. You know, MIssy, I think you can do it. I will help you! I think my awkward, mixed up, jumbled up way of teaching actually makes people dumber, but you can pull us both up! Congrats on your releases, Mary! That's awesome! Thanks, Nicki. I was so tickled when that table of contents appeared I just wanted to share. LOL I live a quiet life! Haha, you did awesomely :P I tried to make a table of contents for my book, but the page numbers wouldn't line up and I got tired of manually changing them so I just deleted it! It IS a vlog isn't it!!!!!????? Congrats 4 books out the same time. Mary, this is so helpful because now I can go back and retool a table of contents that I didn't do properly. Thank you so much! And looking at that table of contents? I just ate dinner, but it made me hungry again. Those titles of the recipes sound great. NO WAY!!! You really think you'll use this? That is so cool! Great job, Mary. I also don't know what most of those things are on the Word bar. Thanks for the lesson. Please enter me in the drawing! I should try to learn what the rest of them mean....but I am AFRAID!!! You make Monday easier to deal with, Mary! :) Thank you! Who says a cowgirl like Mary can't be a techie too??!! Good job! Your 4 books look amazing! I have read the Chance Boden one. I am looking forward especially to reading "Cowboys of Summer"!!!! Valri the Cowboys of Summer is so fun. I think you'll love it! Mary, I'm late getting to Seekerville today! Loved your video! Woohoo! You are so tech savvy. I'm in awe. Must get your cook book. 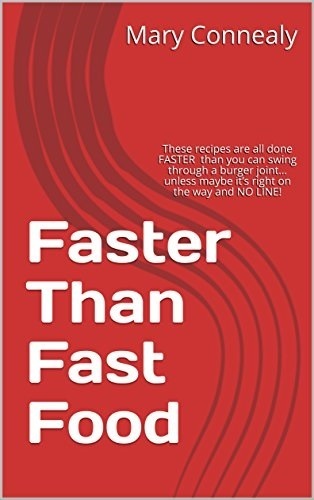 I need fast recipes. While on my last deadline and heading to the finish line, I kept track of how long I spent on the evening meal. You don't want to know! Oh my gosh!!! Too much time, for sure. But then I'm a foodie! Still, I'm also a writer. Will I be able to create a Table of Contents? Not sure, but I'll refer to your video. Thanks, Mary! Debby, I hope you'll have a bit of a break soon! Sorry I'm late stopping by (waving at Debby Giusti, my lunch partner today!). NO WAY! You had lunch with Debby!!!??? Now I'm so jealous I can't handle it!!!!!! Lunch with Patti Jo is always a treat! We had so much fun. Were your ears burning? We were sending love and hugs to all Seekerville!!! Yay! Your video was awesome! I can tell you're more tech savvy than I am! I'll have to remember this post if I ever need to do a Table of Contents. I'm so tech-challenged it's pitiful. I did, however, figure out how to do Trello, so I could keep track of my read/review/influencer books. Of course, I had a great teacher, Carrie Schmidt, who helped me out quite a bit. I'm amazed at you for having 4 books releasing this week. You are a super hero! Congrats! I've never even heard the word Trello! Mary, not only am I a day late and a dollar short, I'm coming in here on the heels of two days of tech issues, so needless to say, I am in awe of you and your technological prowess. This was like a mini workshop. One loaded with information. Thank you! Mindy! You're up and running again! YAY! This looks like sooo much fun! Good job! Word does have its perks, doesn't it?! You always crack me up. I have to wait until I get home to watch the video, but I'm looking forward to it. With the exception of your new cookbook - I already have all the others from that "historical fiction's most beloved" author. So maybe I can be in the draw for that one? You are my go to author when I want to read about cowboys! I have All for Love and The Accidental Guardian! Great stuff! It is so satisfying to figure out how to work new technology on one's own! Sometimes I have to have my husband sit beside when I'm trying to figure things out--his mere presence is enough to scare the computer into behaving, even when he's completely distracted by something else. That is a lovely quilt you have in the background of the video!